Next door home is selling at an auction sale. Zillow has home valued $265k. Do bidders look this information up and keep bidding until the price will be, both a good investment and/or allow a re-sale good deal? Does it mean that the market value will be met at auction? I think it’s likely that market value will be realized at the auction, if the auction is adequately advertised and property conducted. However, that doesn’t mean that it will demand $265. Actual market value is what the home demands while Zillow’s estimate (or any other estimate) is just that — an estimate or more accurately a guess as to what market value is. Mike: how do fees charged at the end compare between a tag sale and an auction? As I’ve traveled around the United States, I’ve found that the fees for an auction are generally less than the fees charged by most tag sale companies. From what i have seen over the last 20 years, fee charged by auction style far outwiegh tag sale fees, property owners will always put more money in their pockets by doing a tag sale with a knowledgible company, tag sales are a huge trend and definatly the way of the future! Customers prefer them as they don’t have to sit at an auction all day. I’ve traveled all over the United States. It appears to me that auctioneers and tag sale personnel charge the seller very similar rates in terms of commission. The more tangible difference is in net return and overall dispersal. There is no need for the owner to sit at the auction. In fact, I don’t recommend it. You didn’t mention the fact–and it is fact– that too many auctioneers divert items, have buyers at the auction or just plain steal from people. That’s why I did a tag sale for my moms stuff, though later I did find an honest auctioneer to sell the rest of the estate. If I had him at first, I’m sure I would’ve doubled or tripled my take. But I was afraid! There are a lot of bad apples here in central Indiana, sadly. Auctioneer Blog, was a very good post title to give this valuable blog post. Where exactly could I read through even more pertaining to this? Hi there! This post couldn’t be written any better! Reading through this post reminds me of my good old room mate! He always kept talking about this. I will forward this page to him. Fairly certain he will have a good read. Thanks for sharing! I really believe that it depends on the items being sold, I routinely see standard furniture, decorative items and appliances sell for pennies on the dollar of what I get for them at my estate sales vs. auctions. It seems that 90% of the items in 90% of the homes are along these lines. However, when an item is of higher quality or even ‘unknown’, I also agree that auctions can be a better venue. When I research my items, I typically look at auction results and price accordingly, auction results vary greatly on the same items depending on the auction house, location and date, whereas at an estate sale I only need one buyer (not two) to appreciate the item in question and pay my asking price.. Largely, it would depend on what duties that Ringman was performing. Relaying bids? Probably not. Discussing the property, financing, etc. then probably so. Where would I find a reputable auctioneer? Where are you located? Are you looking to buy or sell? HA, funny stuff. And your expertise on estate sales and estate sale company qualifications/knowledge is based upon what? I’ve been running an estate sale company full time for over 9 years. This after a career in antiques and sales and marketing. Most of what you state is incorrect or at least not nearly correct. I recently took one of my estate/tag sale clients to an auction to see the prices different pieces “command”. She was shocked at how low this sold for. Mahogany chest of drawers, sold at auction for $25. I would have tagged and gotten at least $125. And yes, it was a quality auction house. 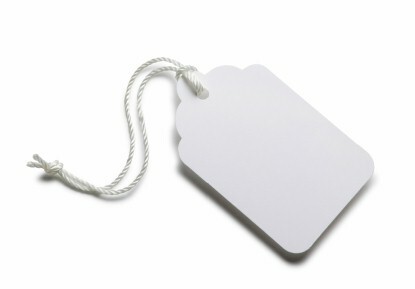 One other consideration is that tag sales usually take place on the premises of the home. Crowd of people you don’t know and can’t control. Auctions usually at the auction house. Many auctioneers will do both–have a monthly auction for more valuable items, and tag sale at his premises for the lower-value items, donating the rest (with tax deduction) and trashing what is left.